An Amazing ABC Safari for Preschoolers! 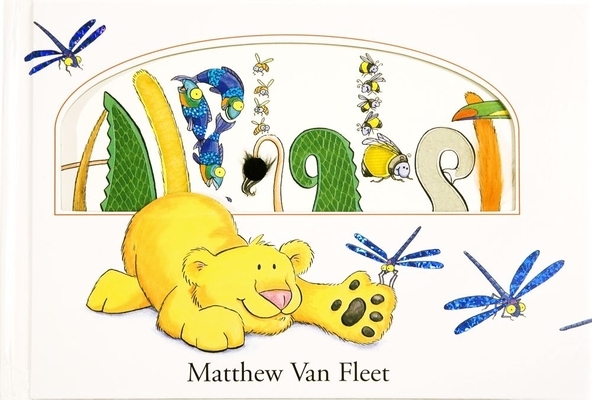 In Matthew Van Fleet's incredible multiconcept book, over 100 creatures and plants from A to Z hilariously demonstrate action words, synonyms, opposites, and more. Young explorers are challenged to spot four plants or animals that begin with each letter of the alphabet. Twenty-three textures plus foils, flaps, pull tabs, and even a scratch-and-sniff scent add to the interactive surprises on every page. Also includes a removable full-color alphabet poster for learning fun!